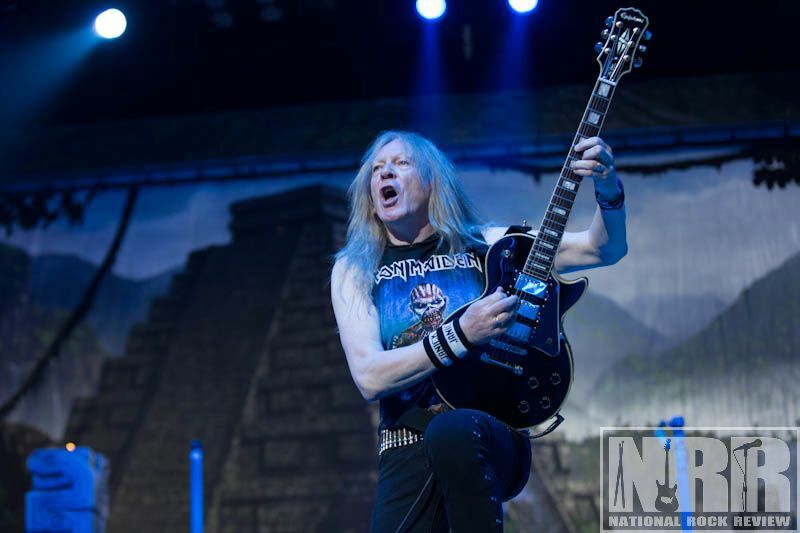 Ed Force One landed in Detroit bringing the British Metal icons with The Raven Age to rabid fans in the Motor City. 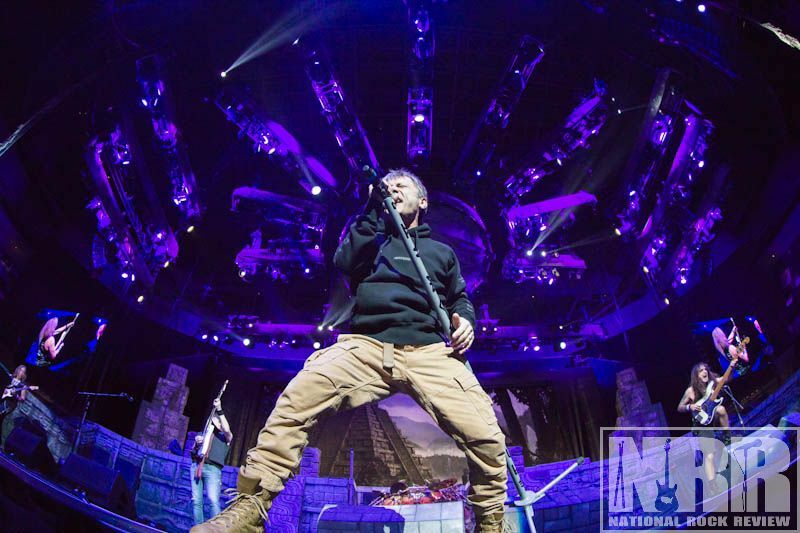 On the back of an award-winning new album, Iron Maiden land in Michigan as they continue their Book of Souls tour across North America. 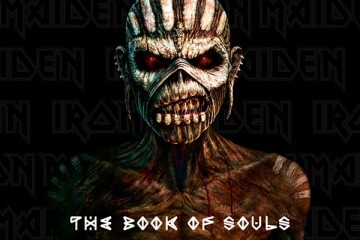 The Book of Souls album is the fifth U.K. No. 1 album for the band according to Billboard. It is a career landmark given that the release comes 35 years after their first album. 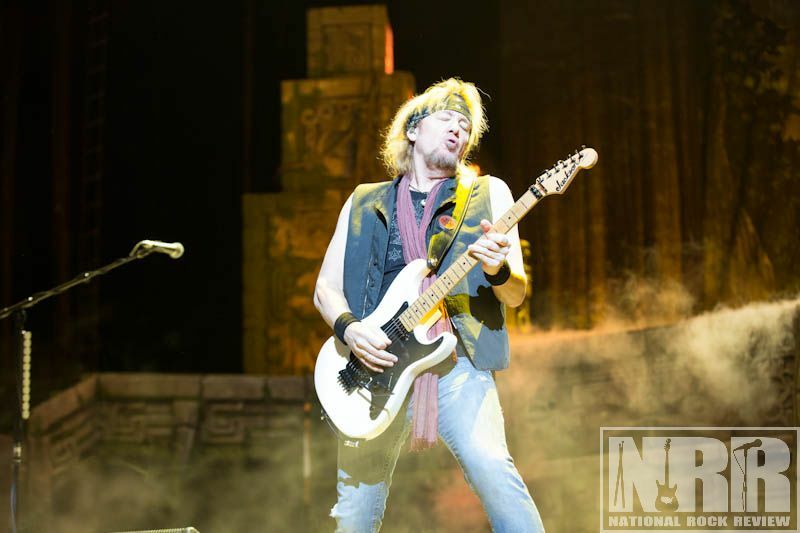 Iron Maiden first formed in 1975, making 2016 and the new world tour, the start of the fifth decade for the veteran rockers. 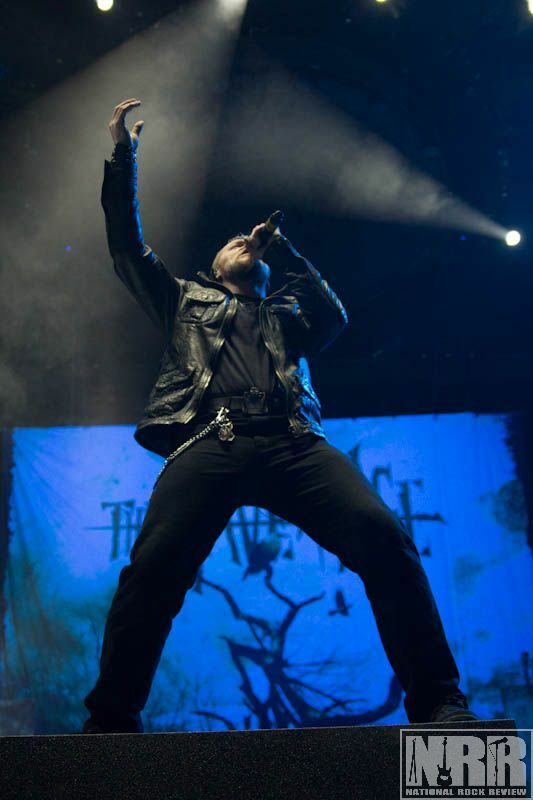 Touring with Maiden is the London, UK melodic metal group, The Raven Age. 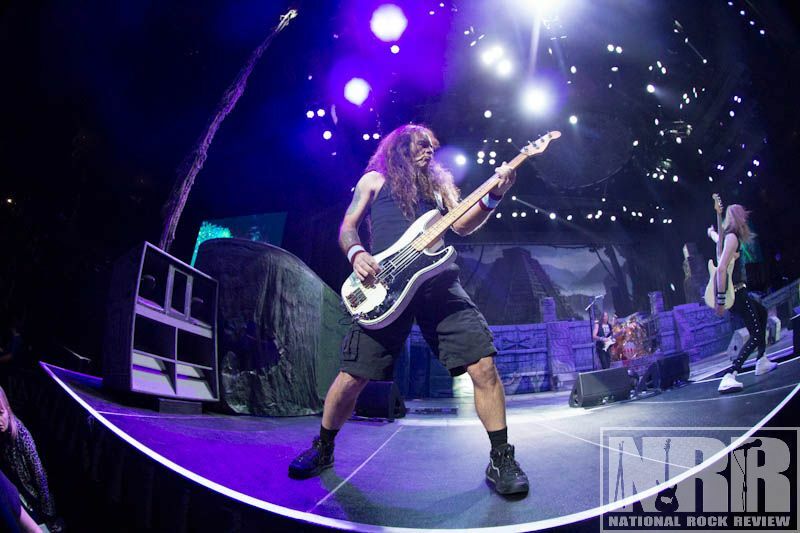 The band is noteworthy for their guitarist George Harris, who happens to be the son of Iron Maiden bassist and founder, Steve Harris. However, their performance this night does much to allow these guys to step out from under the shadow of the Maiden connection. 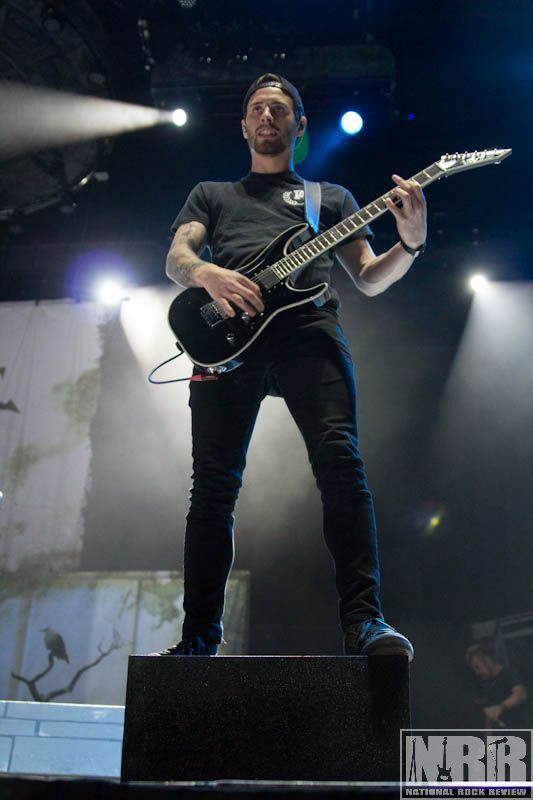 The band’s performance stands on its own as being the right choice to support the tour. 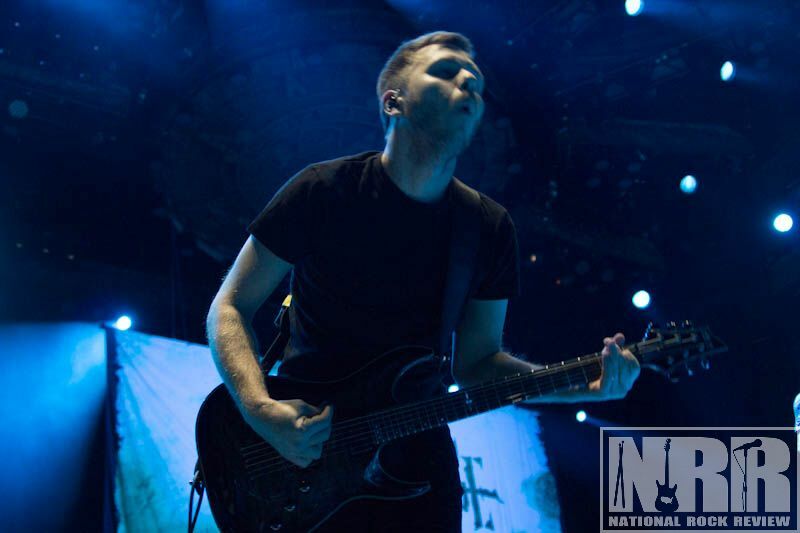 The Raven Age played their set full of energy and attitude. The band opens with “Uprising,” a number highlighting the heartfelt vocals of Michael Burrough. His voice is pure and clean, and capable of sailing the heights of their music. 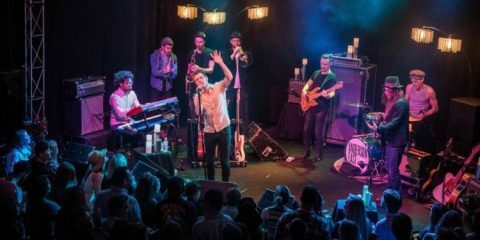 Backed by bassist Matt Cox providing harmonies, the two mesh well in the choruses. 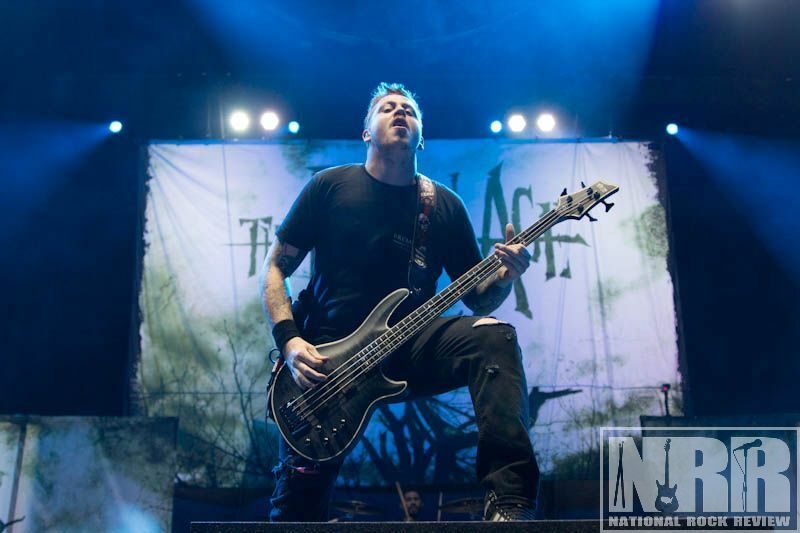 The musicianship of The Raven Age is superb. The band is tight and polished. The dual guitars of Harris and Dan Wright feed off each other. Melodic and nimble, their solos demonstrate their guitar finesse as they take turns freestyling across the fretboard. 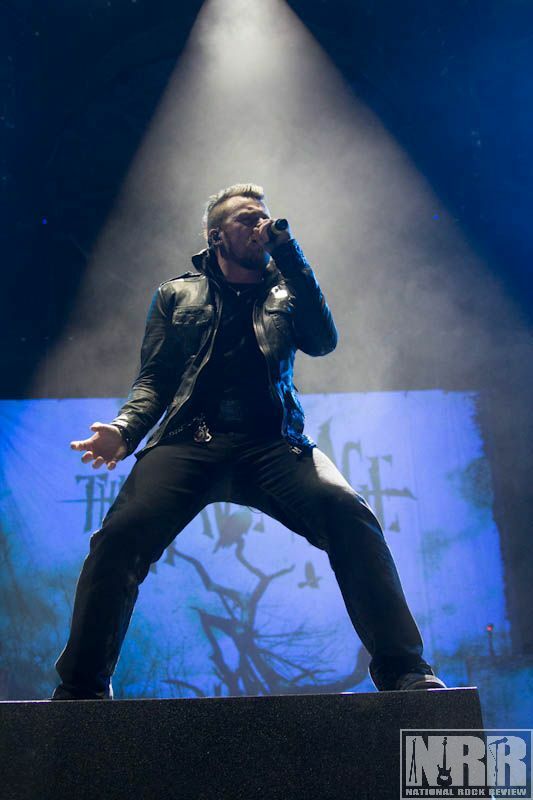 Burrough presents himself as an adept frontman as he walks the edge of the stage singing and connecting with fans. As the song reaches its conclusion, fists are pumping in the air, and bodies are jumping. 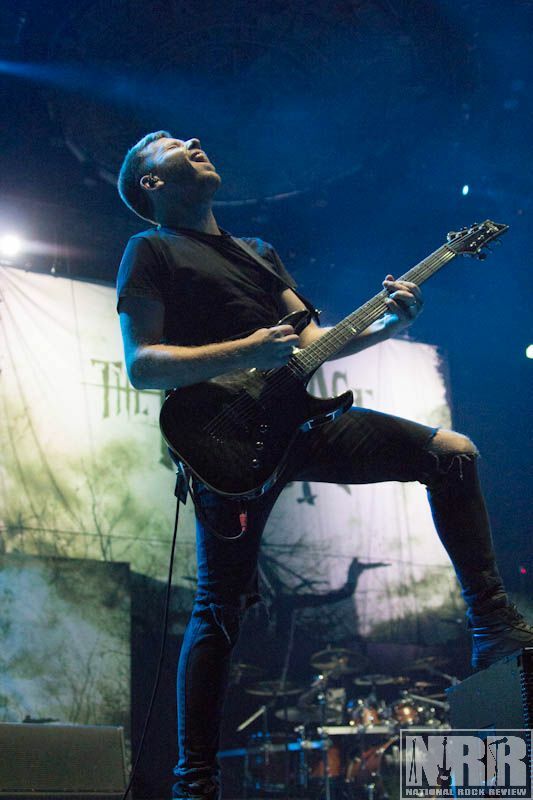 The Raven Age has just won over thousands of new fans. This performance suggests great potential for their future, something their throngs of new fans will support. After a break for stage change, the arena, now mostly filled, erupts into cheers as the familiar “Doctor, Doctor” from UFO plays over the sound system. Anyone who has been to a Maiden show knows this signals the start of their set. Fans sing along to the 70s metal classic, as screams of excitement peel spontaneously. As the intro track ends, the arena is dark, and a video intro plays on large screens flanking each side of the stage. A computer animation shows a Central American jungle with a 747 jet, Ed Force One, trapped in a tangle of great vines. The intro ends as a giant red demonic looking hand frees the plane sending it on its way. 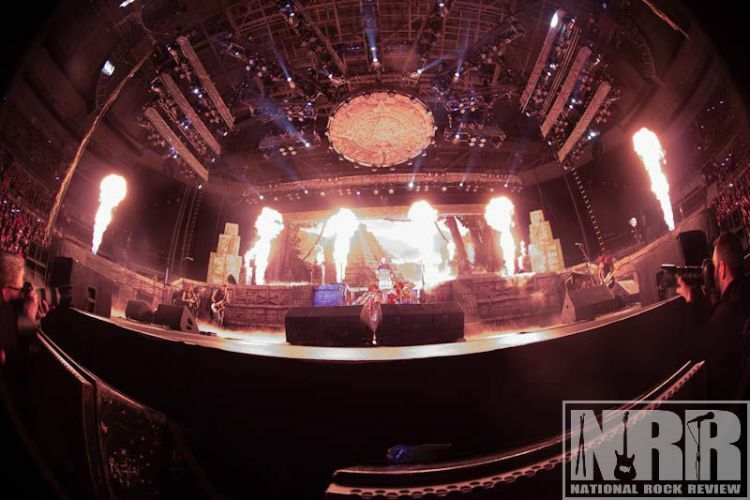 Partial lights and flame illuminate the stage in an eerie fashion. Haunting music fills the venue, as Bruce Dickinson can be seen on a platform above the drums bent over a mist-filled cauldron. 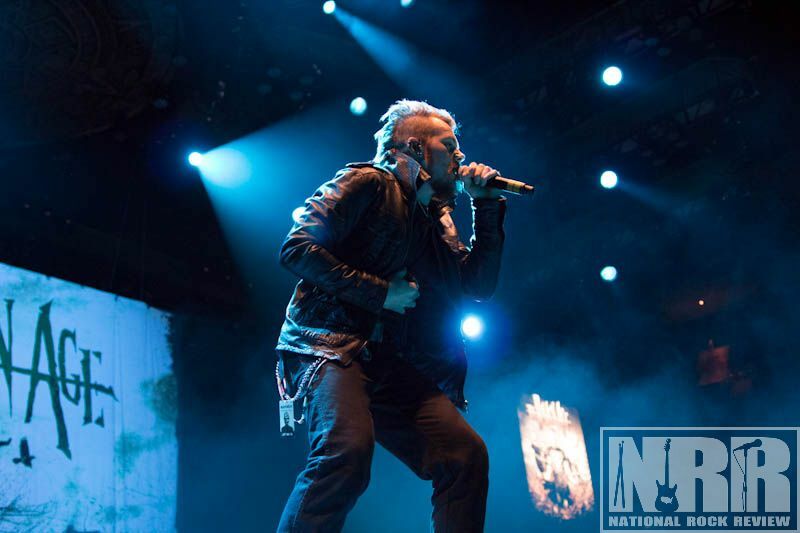 His voice bellows out the first words to “If Eternity Should Fail.” The night has begun. Drums break the moment and flames spout 15 feet high. Guitarists, Dave Murray, Adrian Smith, Janick Gers, step out to the edge of the stage, chugging away. 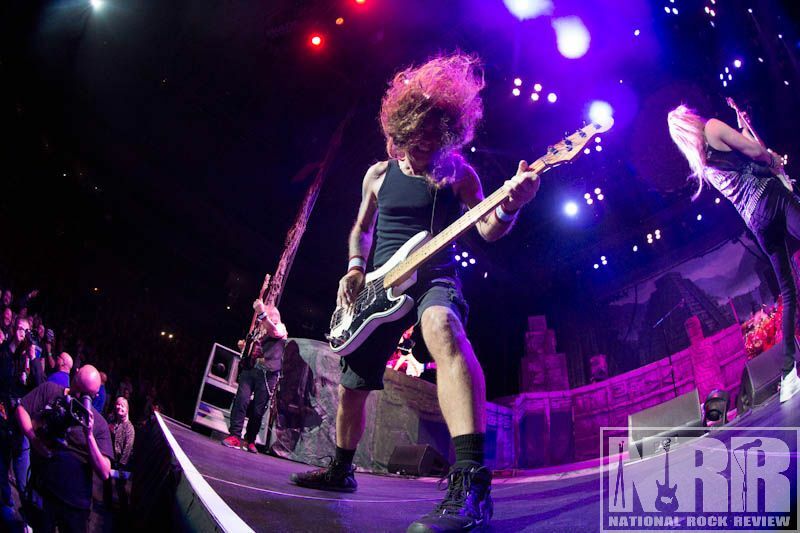 The clipping sound of Steve Harris’s bass can be easily heard as he hooks with Nicko McBrain on drums. Harris runs from one side of the stage to the other. Murray and Smith weave harmonies as Dickinson emerges from the back. He stands there, his foot on a monitor cabinet, singing for all he is worth. 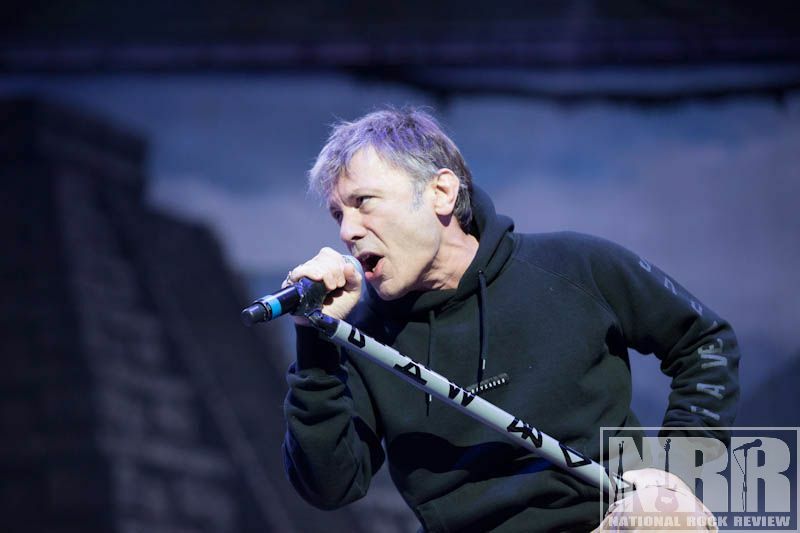 Some wondered if Dickinson, who underwent cancer treatment to his mouth in 2015, could still handle the demands of being Iron Maiden’s frontman. As the first song ends, the world wonders no more. Bruce Dickinson sounds as good today as ever. 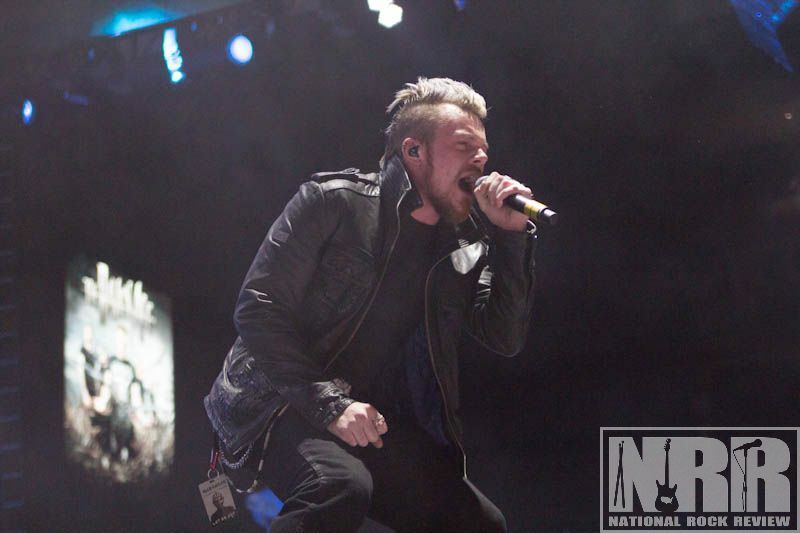 His voice is loud and strong as he projects like a fog horn, piercing the din of a metal show in front of ten thousand plus screaming fans. Throughout the arena, people are on their feet. The main floor is general admission, and fans press against the barricade, eager for the attention of Dickinson. Flags and banners wave about the place on all levels. Bruce makes note of the number of nations in attendance. And fortunately for fans, The Palace is an arena where even the upper bowl seats offer a good view. 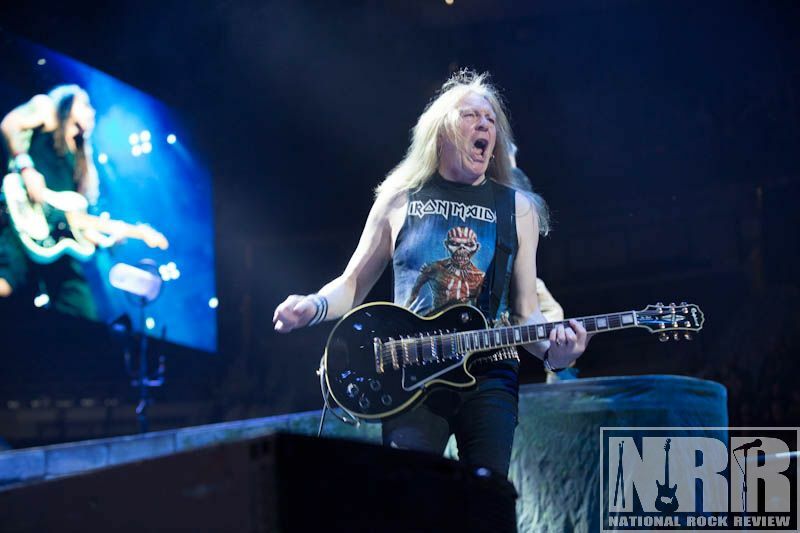 The band follows with the first single from The Book of Souls, “Speed of Light.” Guitars, crashing cymbals, cowbell, and rumbling bass have fans screaming and pumping their fists; it is the essence of an Iron Maiden show. 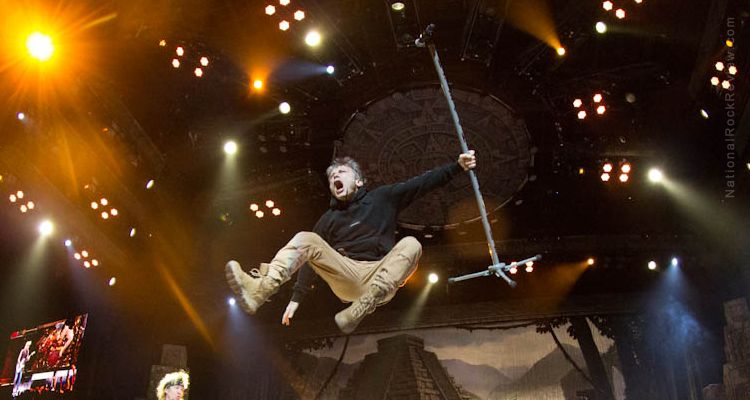 Dickinson runs to the edge of the stage, spring boarding off of a monitor, leaping high into the air swinging his mic stand wildly. He waves his arms about as if leading the audience as his personal choir. The night continued with a classic Maiden track, “Children of the Damned,” followed by “Tears of a Clown” (the Robin Williams tribute song) and the 13-minute epic, “The Red and the Black,” both from the new album. 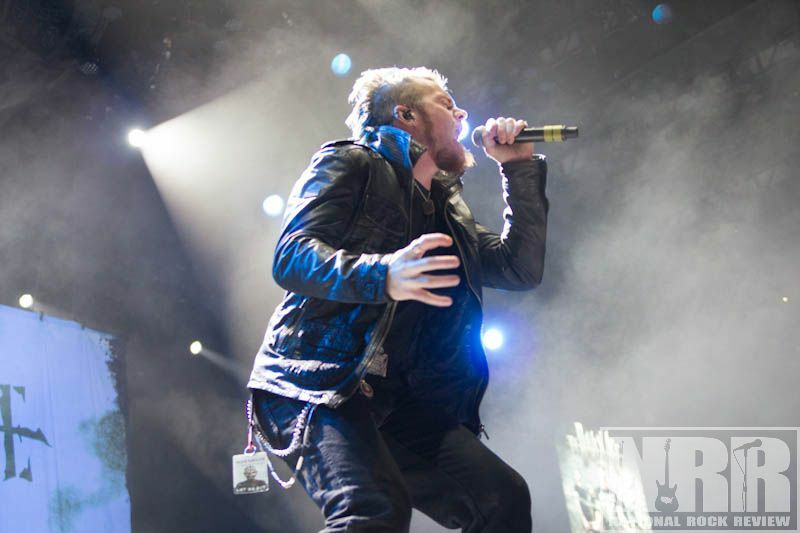 Fans are eager to hear the classic tracks but respond with a fervent zeal for the new material. Book of Souls is the album to do that. It captures the essence of classic Maiden. 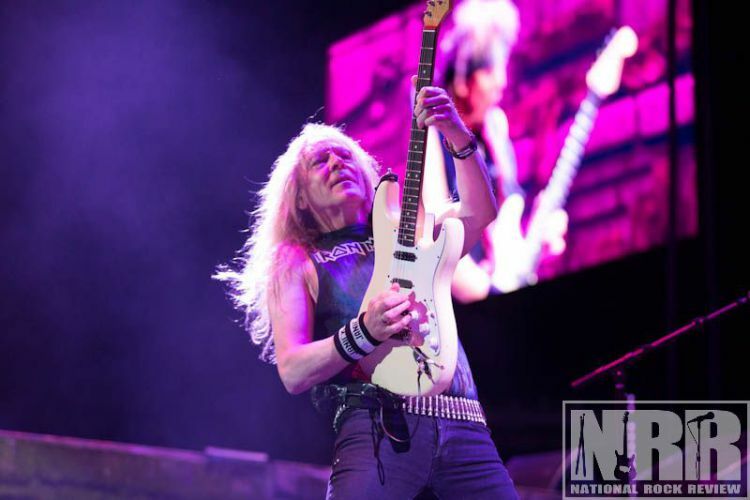 While the harmony guitar work of Murray and Smith are the foundation of the “Iron Maiden sound,” it is Janick Gers’ standout performance that must be noted. 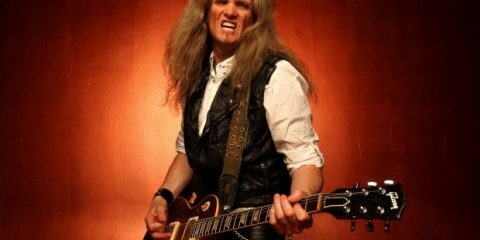 Gers stands at the right side of the stage, arched backward, blond hair flailing in the light, playing like a guitar god! Watching him solo is a treat; his body language and moves give us the “genuine rock star” experience. 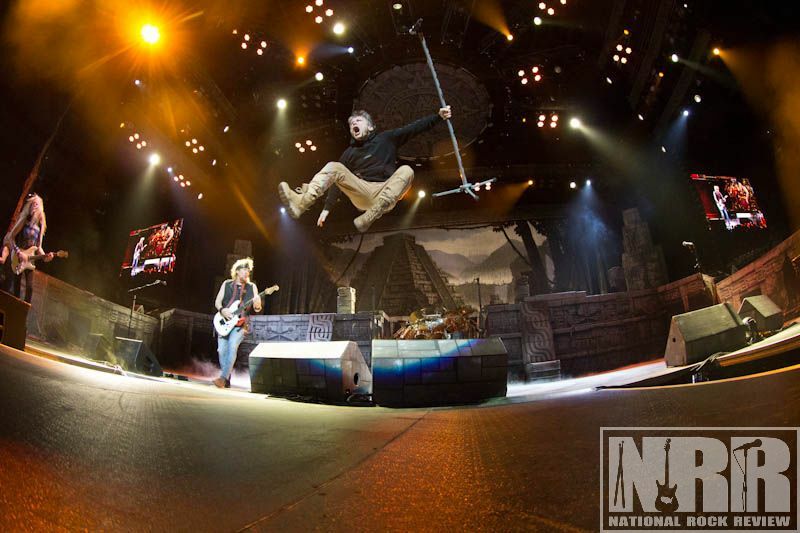 Iron Maiden gives fans what they want as guitars signal the start of “The Trooper.” Dickinson appears atop the high platform in a British Red Coat uniform, waving the Union Flag. “You’ll take my life, but I’ll take yours too” echoes throughout the arena, not just from Bruce, but from the crowd of ten thousand-plus. 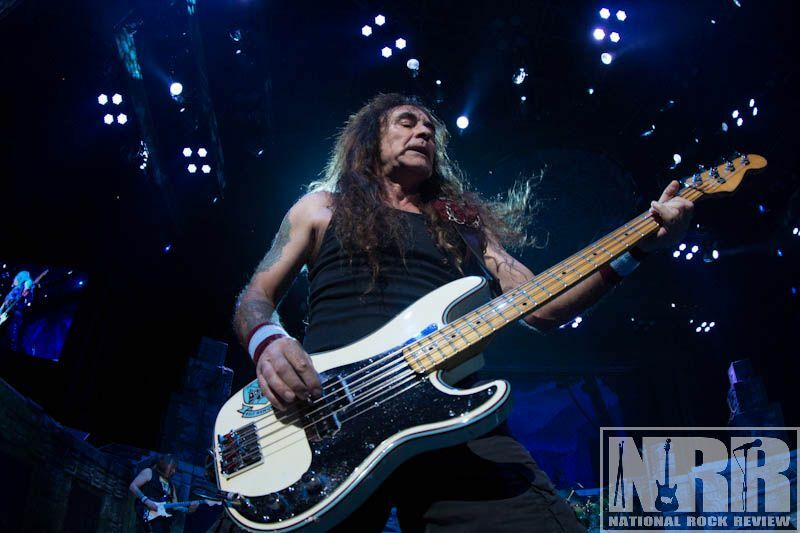 It is a moment all Maiden fans look forward to during their concerts. 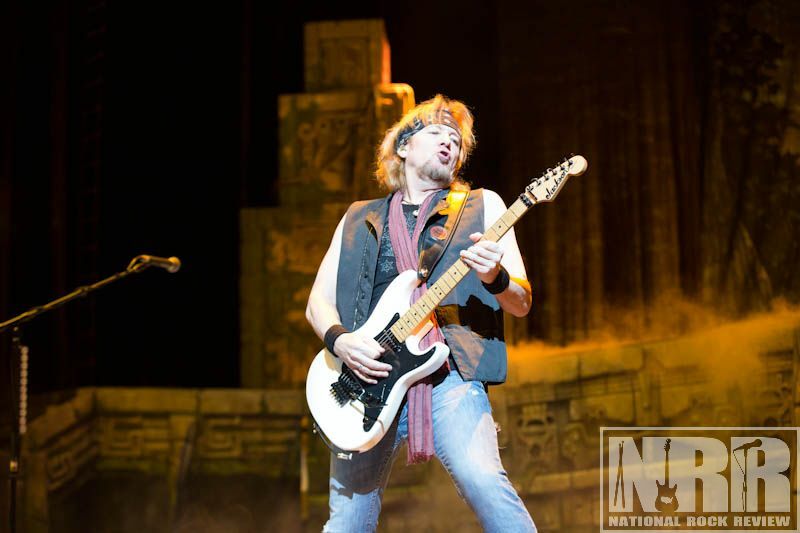 The band continues with Powerslave, followed by two new tracks, “Death or Glory” and the album title track, “The Book of Souls.” Dickinson introduces the later track as a cautionary tale to nations today bent on killing each other. Like the Mayan Empire, any great civilization will someday fall. 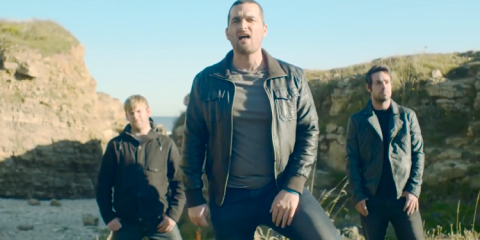 The song opens with Gers playing a stand-mounted acoustic, with Harris plucking his bass at his side. Gers switches to his electric as light floods the mist-filled stage, the band joining in. The rhythm of this song is mesmerizing; fans writhe back and forth on the main floor to the melodic beat. As the band plays away, a 10-foot tall Eddie dressed as a Mayan warrior emerges from backstage!  Gers engages, running between his legs as Eddie swings his hatchet at him. 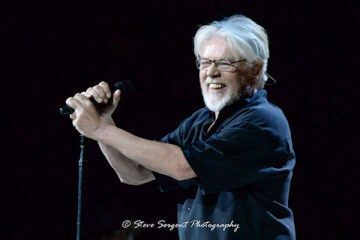 As Eddie approaches Dickinson on the platform, the singer reaches into the giant warrior’s chest and plucks out his heart holding it high for all to see. He eventually throws it out to the floor as fans jockey to grab it. 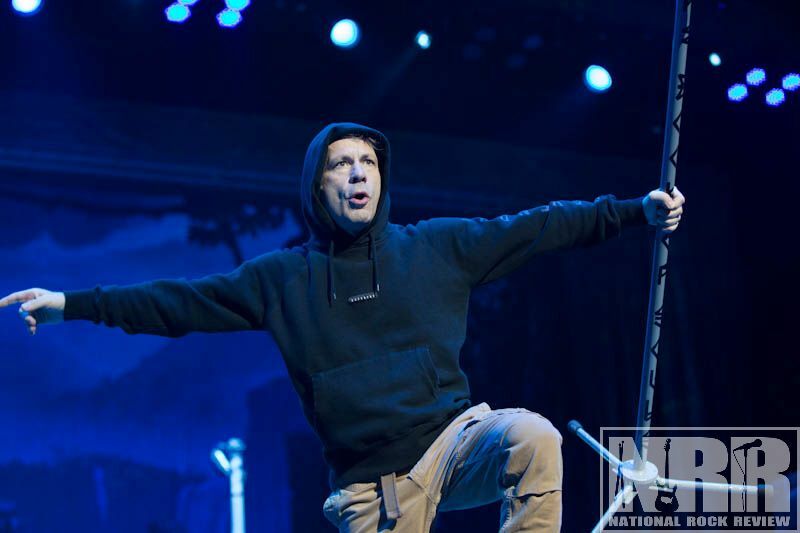 One thing Iron Maiden is known for in concert is their levity. The band members don’t take the solemn nature of their music too seriously. They have fun during the show; fun with each other and fun with the fans. Before Dickenson throws the heart out to the fans, he squeezes it, shaking the dripping organ on Gers, who is caught by surprise. Bruce also messes with McBrain, grabbing the drummer’s cymbals while he is playing. The band joke with each other, and appear to enjoy their role in the festivities. The show continues with the fan favorite, “Hallowed By Thy Name.” Dickinson gives a compelling performance atop the platform holding a noose. 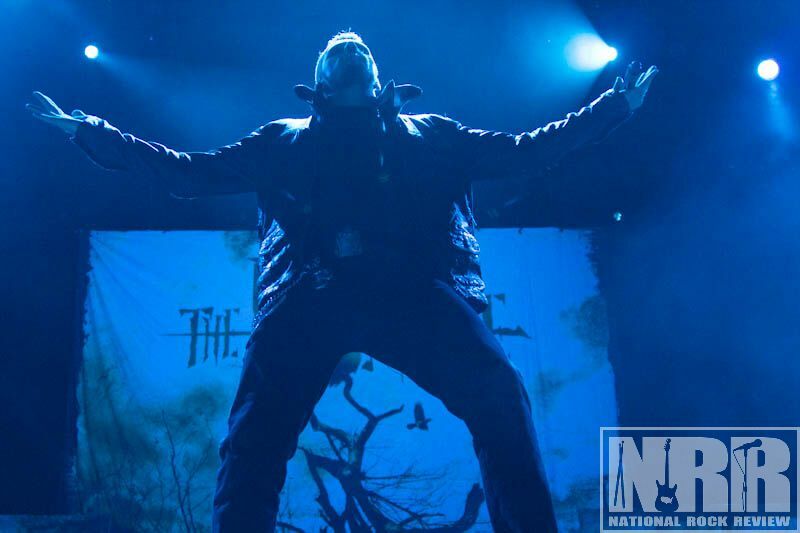 As he sings the melancholy opening, he acts out the role of both prisoner and executioner placing the noose over his head, dropping it about his neck. As he sings, “they take me to the Gallows Pole,” he leads himself forward by the rope. His intensity on this song is fantastic, his performance both believable and fitting. Next comes the sing-along favorite, “Fear of the Dark.” No Maiden show would be complete without fans singing along, voicing the melody, their song reverberating off the walls. As the band breaks into song, lights illuminate the arena. The band hits the chorus; the rhythm change causes both the band and the human mass in the pit to bounce to the beat, hands high in the air. The band closes the main set as usual with their standard, “Iron Maiden.” Fans headbang, thrust the horned salute high overhead, and sing along. Flames erupt, and the giant Mayan Eddie rises from behind the set. He moves about casting his red-eyed gaze across the venue. It all ends in a big Maiden close, with guitar, bass, and drums. A shower of sparks and billowing smoke erupt in front of Eddie, and he sinks from view. The band exits as the stage lights go dark. The break takes but a few minutes before guitars erupt and green lights bathe the scene in a bizarre glow revealing a giant Baphomet goat, arms crossed menacingly, above the stage. As the band plays the chorus, fans shout “666” in unison and flame pots burst forth, bellowing fire. 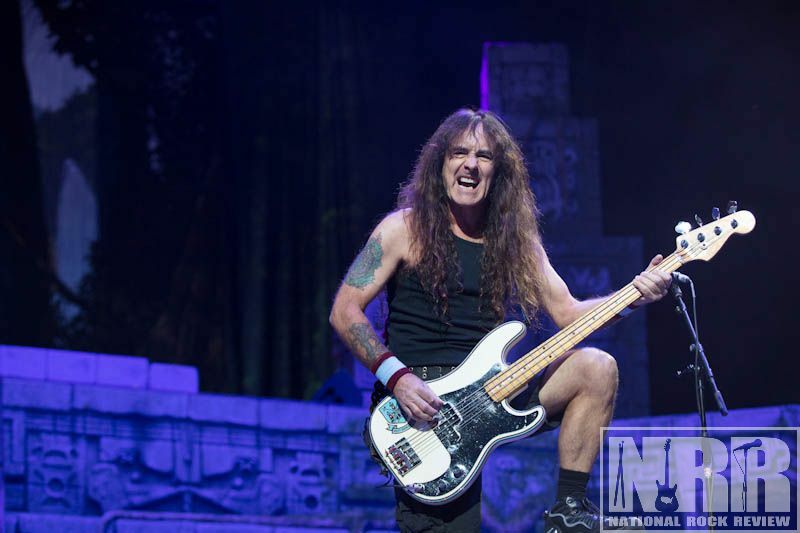 “Bloodbrothers” is next, Dickinson describing it as the relationship between fans at a Maiden show. How true. 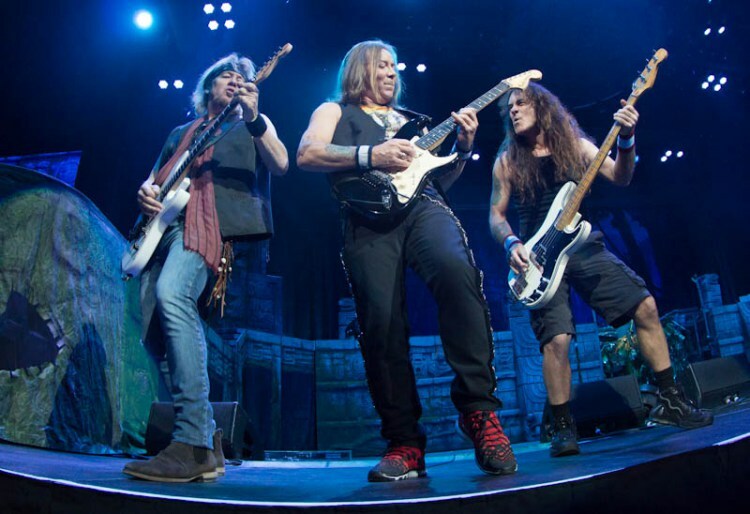 Maiden close their show with “Wasted Years.” Fans sing and shout, waving hands, pumping fists. Fans are elated and spent. It was an incredible night. 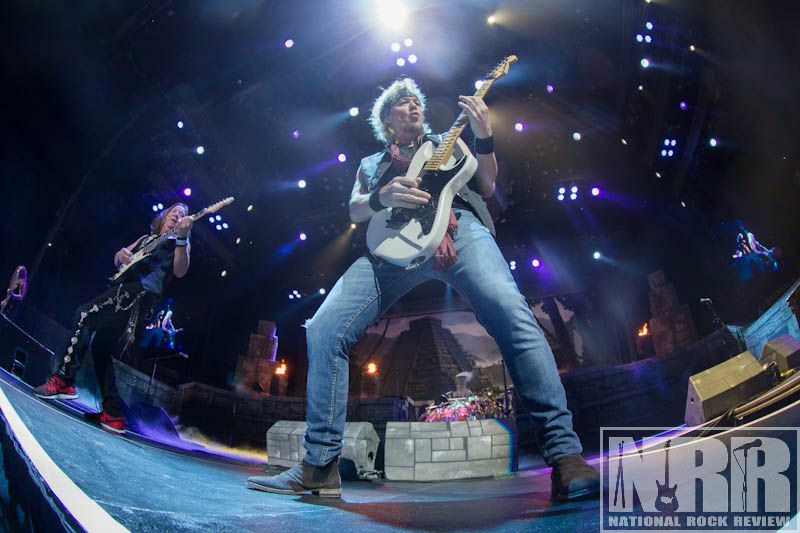 Iron Maiden have proven themselves a band with longevity and the ability to endure challenge. 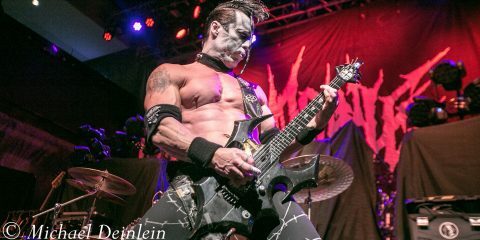 Their fanbase today includes both the original generation of metalheads from the eighties and nineties along with a new generation of today’s youth. Fans of all ages mixed, sharing their affection for the band. 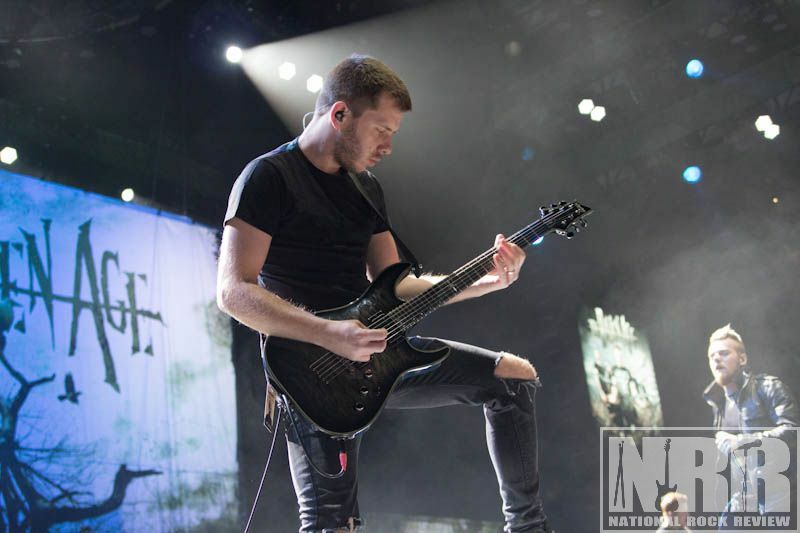 Many aging concert-goers in attendance, this author included, saw The Book of Souls tour as an opportunity to bring their kids to their first Maiden show, reliving the excitement of their first time through younger eyes. 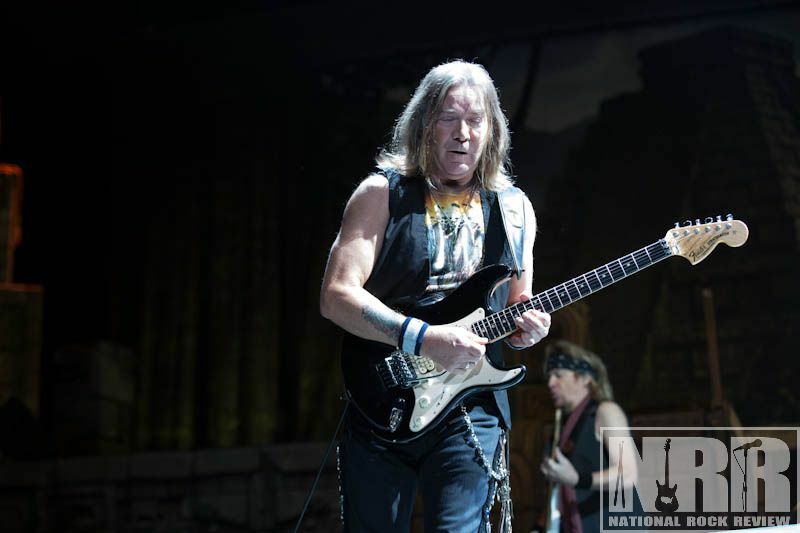 As Maiden continues their trek across the US and Canada, the spectacle that is an Iron Maiden concert continues to captivate fans. 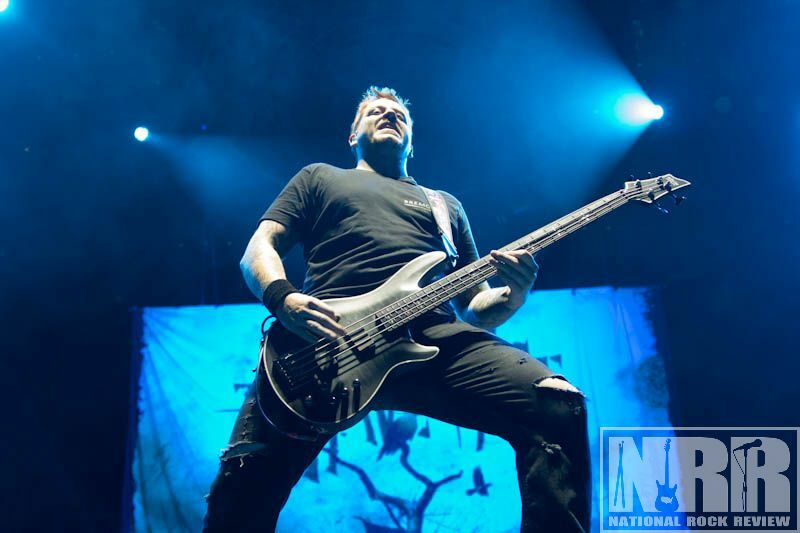 Here’s to our British Metal heroes. 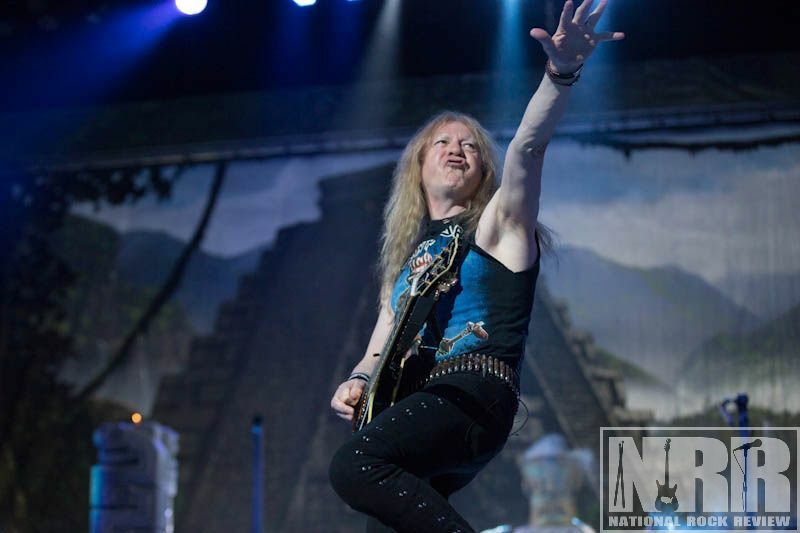 As their slogan goes, “Up the Godamn Irons”; Maiden rules!